Initially presented at Photokina 2014, the DMC-CM1 falls into the same category, as the Samsung Galaxy Zoom. Panasonic has just officially launched its smartphone/compact camera hybrid, the Lumix DMC-CM1 in the U.S. Initially presented at Photokina 2014, the DMC-CM1 falls into the same category, as the Samsung Galaxy Zoom, which was the first device to provide full compact camera capability in a body of a smarthone. The CM1 features a 4.7-inch, Full HD display and is powered by quad-core Qualcomm Snapdragon 801 SoC clocked at 2.3 GHz. It comes with 2 GB of RAM and 16 GB of internal storage space, expandably by up to 128 GB via micro-SD card reader. Connectivity functions include LTE, WiFi, Bluetooth and NFC. The battery capacity is 2600 mAh, which doesn’t seem too much since photo/video shooting can deplete any smartphone battery rather quickly. The device runs Android 4.4 Kitkat. As for the photo functionality: the Lumix DMC-CM1 sports a 1-inch, 20 MP CMOS sensor with sensitivity range of ISO 100 to 25 600. It uses a f/2.8, fixed 28 mm Leica lens. A physical shutter release button is also available. The device allows manual exposure time, aperture, ISO, white balance and focus adjustment and offers both JPG and RAW image formats. 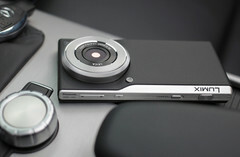 The new Lumix can also record 4K video. DMC-CM1 is now availalbe at around $1000. Panasonic's DMC-CM1 Makes Welcome Arrival to the U.S.
Newark, NJ (June 15, 2015) - Panasonic has announced that following a successful initial launch phase of the LUMIX DMC-CM1(CM1), the world’s only 1-inch sensor camera with an Android operating system and unlocked GSM smartphone functionality, it will now be available nationwide. The CM1 will be available at shop.Panasonic.com and LUMIX authorized retailers. The LUMIX DMC-CM1 is unique in that despite its stylish slim profile allowing it to fit neatly into a pocket; a 1-inch high sensitivity MOS sensor and LEICA DC lens are able to produce high quality images that even rival those of a bulky DSLR. The 1-inch 20 Megapixel High Sensitivity MOS sensor is normally only available in high spec compact cameras but because of the size, it offers outstanding low light performance with minimum noise levels – even at high ISO. The LUMIX DMC-CM1 produces crisp, highly dynamic images full of intricate details and accurately rendered soft focus. The award winning LUMIX CM1 will ship with Android 4.4 KitKat*. The ring on the lens barrel allows control over aperture, shutter speed, ISO and the selection of a Creative Control filter lets users enjoy camera operation similar to that of an interchangeable lens camera. Precision focusing is available with MF assist or Focus Peaking function while viewing the live image and a 4.7-inch large 6220k-dot ultra-high resolution rear monitor offers stunning high visibility during both recording and playing back images. 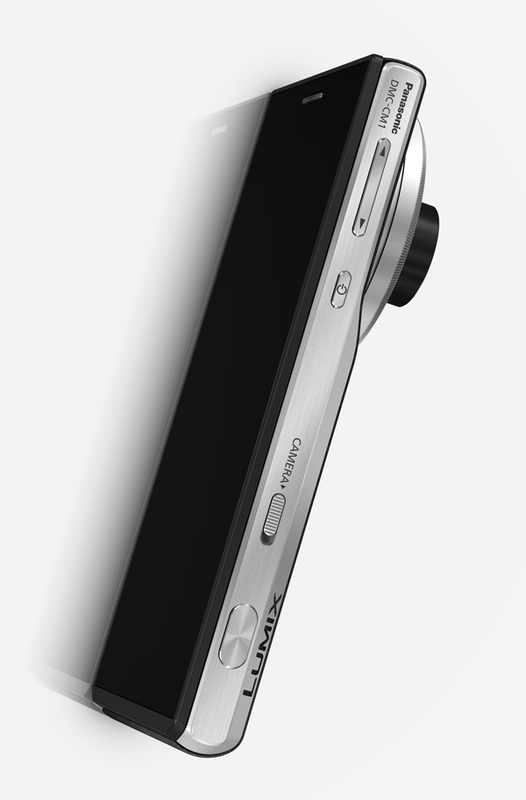 To further enhance creative freedom, the LUMIX DMC-CM1 features RAW image recording. In addition to 1920x1080 full HD video recording (30p), the LUMIX DMC-CM1 is capable of 3840 x 2160 4K video recording (15p), which is 4x higher resolution than conventional full HD. To take advantage of this 4K video recording capability, two special applications “4K Pre-Burst” and “4K Photo” can be found installed on the LUMIX DMC-CM1. “4K Pre-Burst” lets users capture a fleeting photo opportunity such as fast-moving children or pets clearly by automatically recording approx. 45 frames right before/after the shutter release. Users can then choose the best picture to save. The “4K PhotoCapture” allows cropping a still picture out of the recorded 4K video which has the same high resolution as an 8-megapixel still taken in the traditional way. Panasonic has pioneered integrating Wi-Fi into its cameras to meet the needs of users who are eager to share their photos and videos with friends and family, anytime, anywhere and the camera’s high speed LTE (Long Term Evolution) capability makes this faster than ever before. 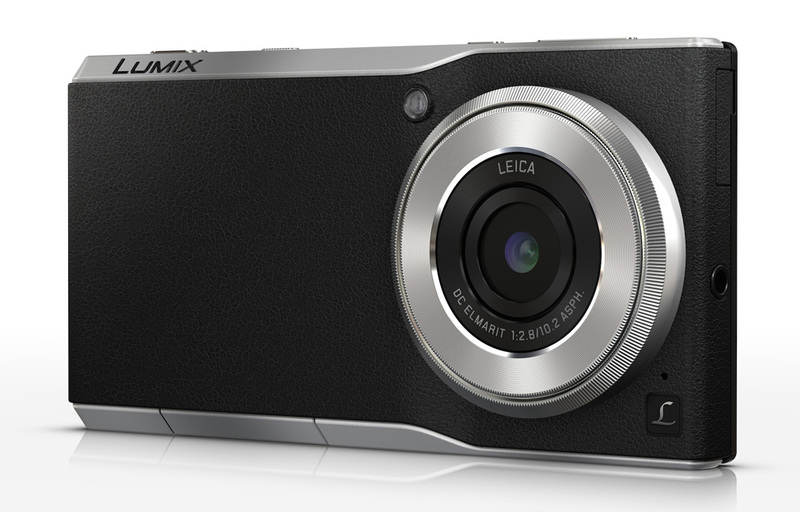 The LUMIX CM1 will be available for $999.99.